Jonny has enjoyed doing weddings for over 20 years, but you’re more likely to know Jonny from the radio. Currently Jonny does wake up duties on WWSW (94.5/3WS) from 5am to 10am each weekday morning. Prior to his arrival at 3WS in 2010, Jonny was “on the air” in Pittsburgh with WBZZ/B94, WZPT/100.7, and WLTJ/92.9. In radio circles, Jonny has earned the nick-name of “Jonny Palooza” for his passion for fun, games and good times! 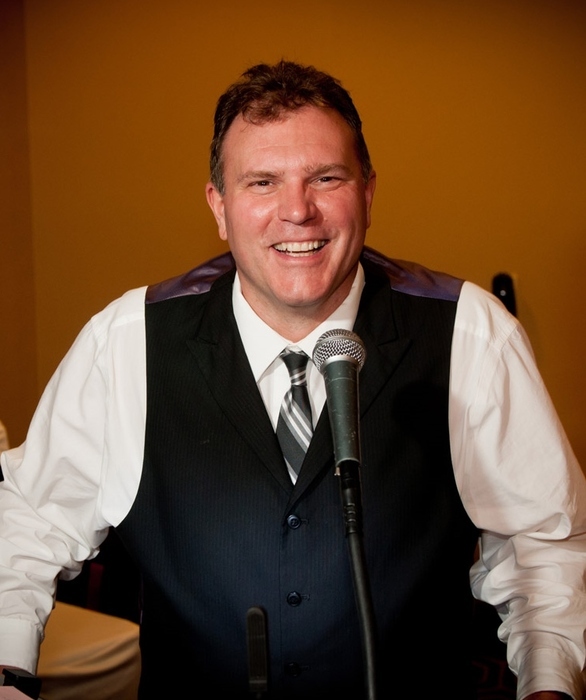 Jonny will bring the same energy and enthusiasm he has on the radio to your event or wedding reception. Although Jonny plays “classic hits” on the radio, he is well versed in many genres of music. He also has the proud distinction of being the DJ for the TLC show Four Weddings when they filmed here in Pittsburgh and won! In addition to radio and weddings, Jonny has also emceed hundreds of corporate, charitable and business related events. Even though Jonny likes to keep things light, he’s also professional enough to take your event very seriously. It takes years of practice to create fun in a professional manner and that’s what Jonny does best! Jonny was awarded the Achievement in Radio (AIR) Award in 2007.